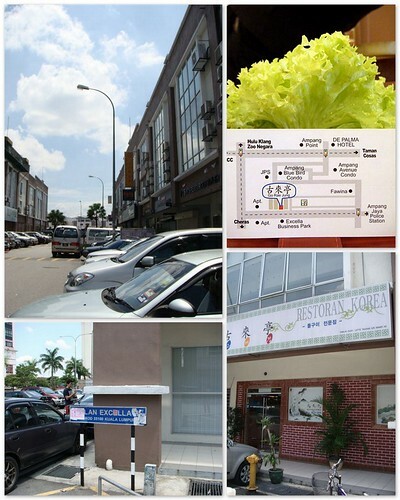 Ampang is an area well known for its large number of Korean expatriates. 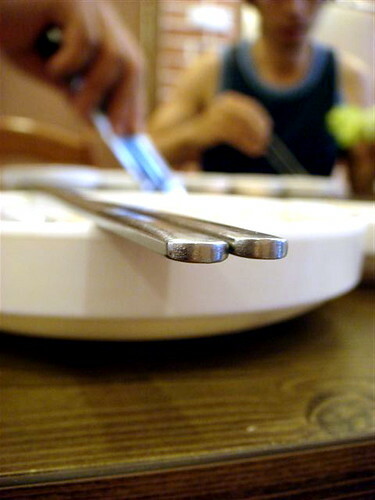 Koreans in Malaysia have opened restaurants, churches, and grocery stores there, specifically in the area around Ampang Point. 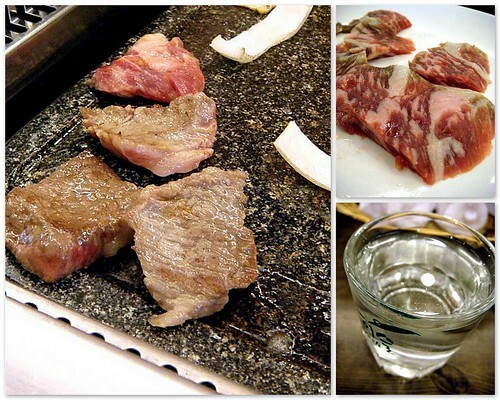 We recently went to little Korea, in search of Galbi. 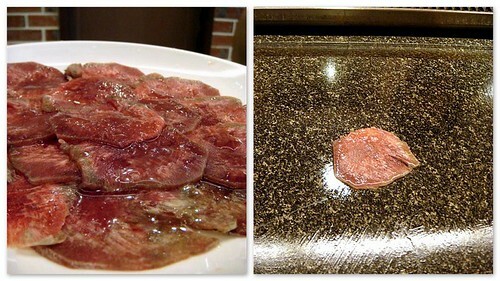 Bulgogi is nice, but I find it too salty in Malaysia. The sauce just gets too heavy after a while. My preference is always Galbi. 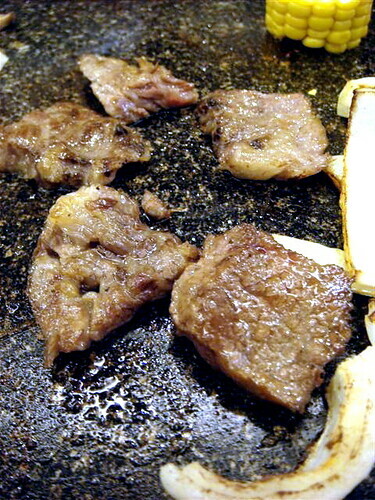 Galbi is marinated or unmarinated red meat with fat that sizzles once you cook in on the hot plate. In this case, it was hot stone. Galbi has to be washed down with Soju. Soju is usually drunk in group gatherings while eating, unmixed and portioned into individual shot glasses. It is against traditional custom in Korea to fill one’s own glass. Instead, it must be filled by someone else at the table. This promotes a spirit of ‘thoughtfulness and camaraderie’. What? Wait? This takes too long.. wails ciki. I use to hate Kimchi. It smells like Cumi’s day old basketball socks left out in the rain. 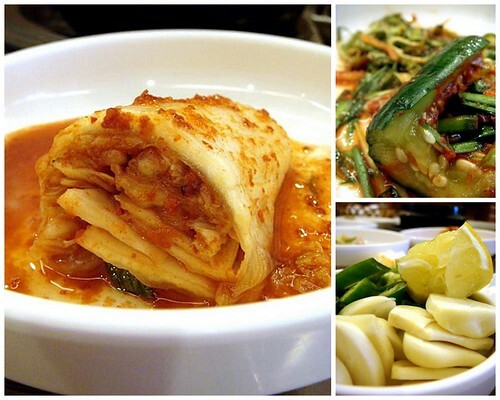 Kimchi is a traditional Korean pickled dish made of vegetables with varied seasonings. 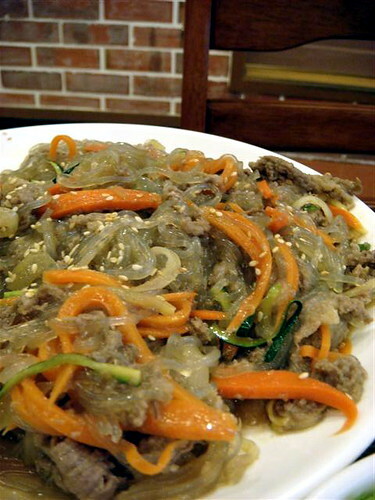 Its most common manifestation is of the cabbage variety and is the most common side dish at the Korean BBQ. I hated it , hated it, hated it….. then one day… BAM! I loved it! (Don’t ask me how the transition occurred. It just did. And now I am a Kimchi fan. I truly am). I like wrapping my BBQ meat in Green leafy cabbage with one layer of sizzling fatty Medium rare beef and tonnes of kimchi and stuffing the whole damn thing into my mouth. Gorgeous. Anyway, one other thing I noticed when I was in Seoul was how my colleagues use to take photos and shout “kimchi” ! in the same way as English speakers tend to use the word “cheese”. (So I guess in Malaysia they should really shout “durian” or “belacan”!.. right, since its so bloody smelly). I told another Korean friend I liked kimchi. She said “what kind?” , and proceeded to name 50 different subtypes of Kimchi and that’s when I realised that I was truly out of my depth. Man, these Koreans I tell ya.. they really do love their Kimchi. At Go Rae Jung, the food is really just so-so. We found the service hap hazard and the waiters were tripping over themselves (and I don’t mean metaphorically, but literally). Clumsy. 3. Turn the udder cheek and mooo-ve on. 4. Seize every opportunity and milk it for all its worth! 5. It’s better to be seen and not herd. 7. Never take any bull from anybody. 8. Don’t forget to cow-nt your blessings every day. 9. When in udder rage, bite your tongue! Well, the food was bordering on lousy here – the right photo is a picture of ultra soggy glass noodles, and I therefore recommend you try the Korean in the older parts of Korean Town. We will probably go back to our usual haunts after this. 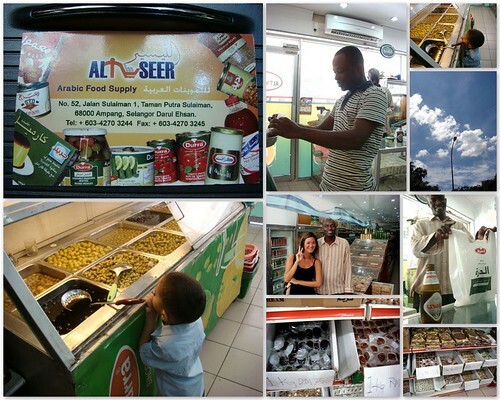 One hidden gem we did find though, was this Arabic Food Supply outlet called Altseer. The food is 100% halal and the olive bar is to die for! I had a field day picking out tonnes of fresh olives for me and my mom. Cumi doesn’t like olives .. so, more for me I say! Ah, Baklava. We bought loads. Don’t buy these if you don’t like your desserts Flaky, Milky, Creamy and Honey sweet! My love affair with the Phyllo will never end! They also stock excellent non-alcoholic beer here. Moussy Beer from Switzerland. The guy just popped one for us to try on the spot. I told you he was nice. I didn’t think I would hear the day I say this but it was really rather good – tastes just like beer! Minus the buzz. But the bitter, fizzy beer taste.. that’s all 100% there! Amazing. Weird almost. Back to PJ, cradling my Olives and Phyllo.. and non alcoholic beer .. a great day out I tell ya! I just love the 9 pointers on LIFE! Cheers!!! Me? I’ve not quite transitioned yet. The wonders of Kimchi are still alien to me. O for the wonder a comely Korean lady shall reveal her manifold secrets to me… the secret of the kimchi, I mean, not the lady. Ahem. How come you can find so many things one? Very adventurous lah you. The glass noodles definitely look soggy, so unappetising. Would avoid that. Yeah, we love kimchi a lot too. We made that a few times at home, it was quite easy and quite fun doing it! 50 different subtypes of kimchi? Wow!!! I didn't know that there're so many kind. Ah… you made me miss baklava! why they make u nervous? nice wat.. such huge smiles and white teeth! wow, neat! didja burry it in a huge ole pot in the garden to ferment?! (kidding) but wow, that's really cool – teach me sometime! I think it’s the exposure to aforementioned socks, das why you luurrve kimchi now. very farnee:P yayayar… i will NEVER get use to smelly socks so there ! hah! oh yes..this i must master! it’s not the same without kimchi… the last time I went to Korea, I remembered having lots and lots of this traditional dish. As a matter of fact, I had some kimchi yesterday at Ko Hyang at The Garden Mid Valley 🙂 also their bibimbap too!!! Not bad as the ingredients are fresh… my only complain?? 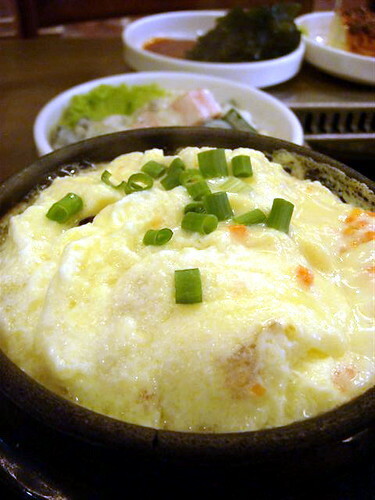 The bibimbap is served using stainless steel bowl instead of hot stone bowl. a truly good, eye opener and interesting post-love it! 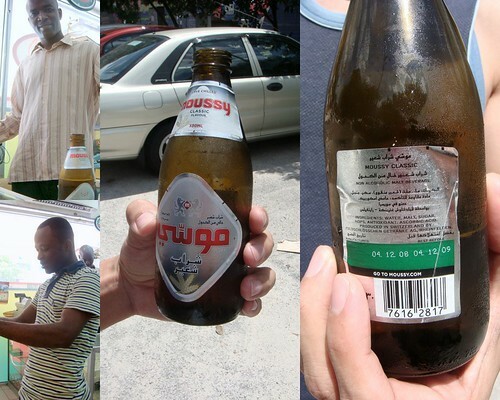 Beer without alchohol = vegetarian beer? lol …. feel weird when gawking down. I wish the food is as smooth as the prose though the non-alc beer comes close! I am cownting when to eat kimchi again and moo.. we had korean stew tonite. Yes, I heard of Ampang good korean stuff, nice outing.